One of the most beloved NBA superstars of all time, Tim Duncan has an incredible net worth of $130 million. Duncan spent nineteen years playing for the San Antonio Spurs and brought the NBA team an impressive five NBA championships. The NBA all-star is known for his modesty, never taking credit for success and instead praising his teammates and coach. Unlike Lebron James or even Shaquille O’Neil, Tim Duncan did not choose to live in a multi-million dollar lavish mansion. Instead, Duncan bought a 3,000+ square foot house near San Antonio, Texas for a surprising $1.24 million. Not bad considering he is one of the wealthiest and most well-known NBA players of all time. 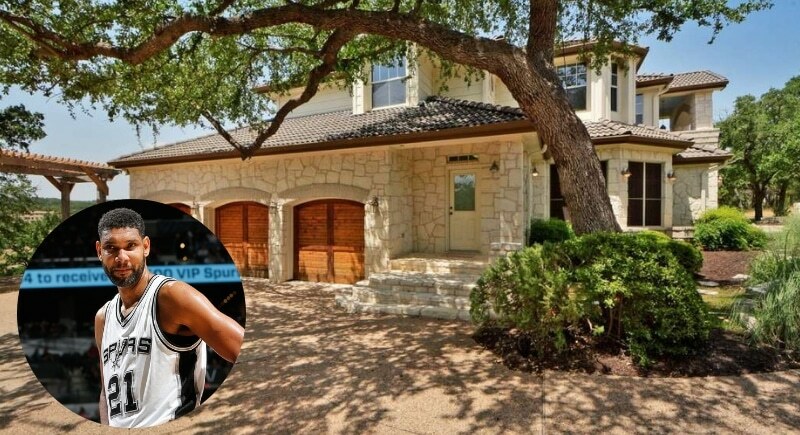 It is rumored Duncan recently sold the home, but the elusive basketball star keeps a low profile and is strictly private, so we’ll just keep an eye out.